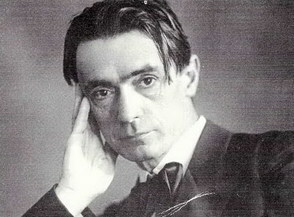 Rudolf Steiner, founder of Anthroposophy and the first Waldorf School (1919) was a leading philosopher, lecturer, and author early in the last century. Through more than 50 books and 6,000 published lectures, his ideas continue to exert a world-wide influence on the arts, sciences, medicine, agriculture, and philosophy. His views on education are embodied in Waldorf schools. “When we bring to the child, just at the right moment, matter appropriate to his faculties, to his disposition, then what has been thus introduced will become a re-creating source of refreshment for the child throughout the whole course of his life. If the parents of our children perceive that we have the will to work in such a way that we place into the decades lying before us people capable of dealing with the ever-increasing difficulties of life – but still having questions to ask of life – then the parents will stand in the right relationship to the school. For it is upon the parents’ understanding that we must build. We cannot work, as do other schools, protected by the state or by any other authority. We can only work supported by a community of parents who have this understanding. Here at Shearwater, we do believe we are lucky enough to have found just such a community and that our School’s growth reflects a real understanding in that community of the necessity for a genuine educational alternative of the kind we offer.